Wingello mountain bike trails. One of the best MTB rides in NSW. Distance: 3 loops, 6km, 11km, 22km. Rating: 5 Stars. Top ten mountain bike rides. I did the Red, Yellow and Blue tracks. The blue track just goes along the fire trails between the pine forest. As nice as this is you’ll cover some of the Blue track when doing on the Red loop. So save those riding legs. The Red loop is an amazing mountain bike ride. It’s about 22km’s of single track going through tall timbers, fern gully’s, pine forest, and gums. The diversity in vegetation is incredible. Check out the photo gallery below. The Yellow track is also fire trail riding. Really nice ride travelling through picturese forest and some steep hill climbs to get that heart pumping. The tracks are extremely well marked and go in one direction. I like this as you don’t need to go to your maps when you have no idea where you are. It must take hours to keep the trails as well maintained as they are. The thought that went into designing them is spot on. Wingello State Forest is one to go onto your mountain bike ride bucket list. Highly recommend. Google Map Link. Head up the Hume Hwy and take the Wingello turn off. When you hit Wingello turn right onto Railway Parade. Then take the first left onto Forest Rd. Keep following Forest Rd, this will turn into a dirt road that is in good nick. The road then turns into Caoura Rd. Keep following this until you hit a camping ground. There is a toilet and map there of all the mountain bike trails there. It’s about 5km going straight down forest and Caoura Rd. Wingello Mountain Bike Trail Map. Wingello Mountain Bike Photo Gallery. Google Map of Wingello MTB trail end. 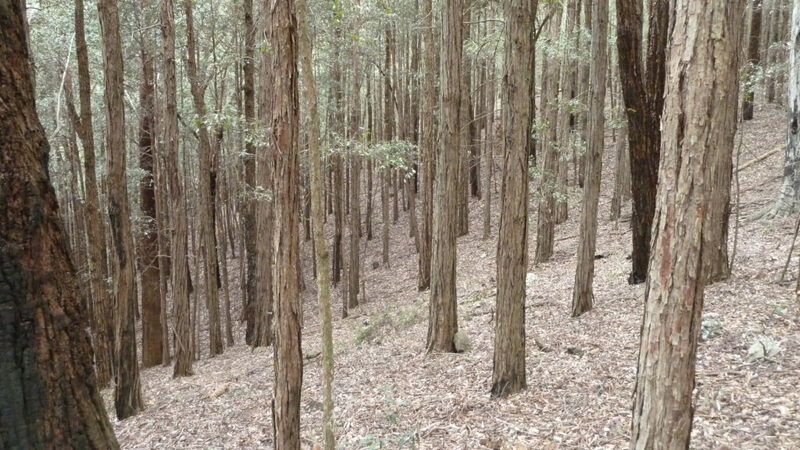 Mountain Bike, MTB, bicycle, track, trail, bush, dirt, ride, Sydney, Southern Highland, Wingello State Forest, mountain bike riding, mountain bike trails.